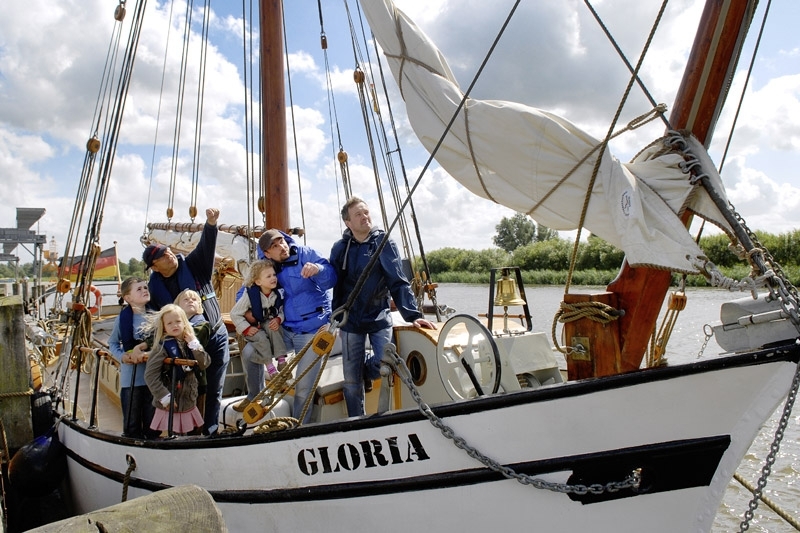 Since 2004, the ‘Ewer Gloria’ from Elmshorn cruises the Elbe and its tributary streams. The boat is a welcome guest during its regular visits to Glückstadt harbour. 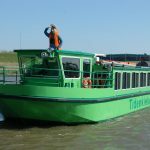 It has a capacity of up to 21 passengers on its sailing tours to and from Glückstadt. You can pitch in and help to steer the boat, just lay back and relax and/or use the opportunity to chat with the crew. You will find the dates for the trips to and from Glückstadt in our events calendar. For all other dates, please check the homepage of the ‘Ewer Gloria’. Booking hotline: +49 (0)4101-606427 (Ewer Gloria Branch Office) or via email at ewer-gloria@gmx.de. You can also get remaining tickets on board approx. one hour before departure.